​"STORAGE HAS NEVER BEEN EASIER"
Container Storage in Carlisle | All you need to know about Self Storage! EASY ACCESS | DRIVE YOUR VAN OR CAR DIRECTLY TO YOUR UNIT | ALL STORAGE UNITS ON GROUND FLOOR FOR EASE. "24hr Ground floor storage used to be rare. Container Storage Carlisle has made that easy with our easy access arrangements and 24/7 opening times so that even HGV's can unload easily ...." - Container Storage Carlisle Operations Manager. secure self storage in carlisle, CUMBRIA | 20 SECONDS FROM the baths | close to m6 motorway. WITH 24hr access in the centre of carlisle, at your service. HOW TO MOVE MY STUFF! Don't take our word for it : Read the reviews ... Quote: "Perfectly loctated in the centre of town, & unlike some storage units has good parking & good access also good monthly rates & extreamly secure. Highly recommended......"
container storage IN carlisle - premier self storage facility in the centre of carlisle. situated in security gated cctv compounds. all our units have ground floor access and cater for all types of storage. extensive 3 acre site with the latest up to date storage units. "ONLY YOU CAN ACCESS WHAT'S STORED"
RUNNING A BUSINESS? WE'VE WORKSHOPS, UNITS & ENTIRE YARDS FOR RENT! drive a car or van to your unit quickly & easily - NO CLIMBING STAIRS WITH US. FROM STORING A SINGLE BOX TO the storing of a FIVE BEDROOM HOUSE with ease ... choose us for a stress free experience! Our purpose constructed sites need viewing! ​We cater for all types of storage - from full house contents, furniture, to plant and machinery or trades workshops or office bases, and are prices are highly competitive for the region. Our secure clean sites are offered on simple agreements with no complex tenancies, and are designed for the upmost of ease to enable 24/7 access. We have a significant wealth of knowledge also ... should you be stuck for advice on who to use to remove your household goods, tap into our knowledge with our proven and trusted list of reliable removal companies at our fingertips. ​Carlisle City Centre purpose built sites. Easy access - 24/7 with gated and electronic barrier facilities. at as little as £12.50 per week. 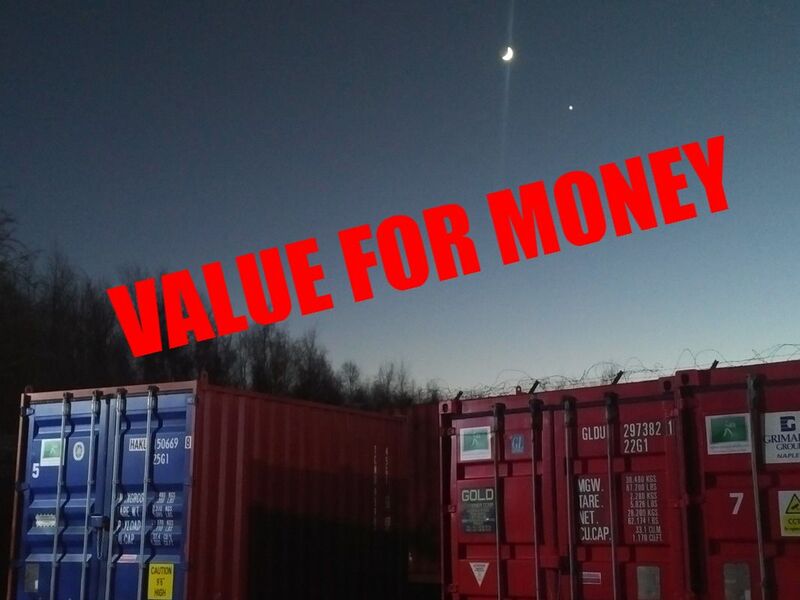 ​Container Storage Carlisle are long standing experts in affordable and convenient storage! Store anything within reason as long as its legal. ​100% fully owned & managed security sites! Brand new units for clean, dry and water tight storage! Document & Business storage also. This was us having a little fun! It's actually a real image, not CGI, with individual letters placed on site! Container Storage Carlisle was established in the 1990's in Carlisle, Cumbria to fill a gap in the self storage market in order to provide affordable quality, flexible self storage solutions in high quality ISO shipping container units for the house mover, removals, student, building trade and all business sectors. Our uses for them are limitless. Whatever your specific storage needs are, be it household or commercial uses, we provide superb up to date modern storage solutions on our discreet, CCTV, floodlit and gated compounds. Many people these days are turning to self storage as an affordable and practicle way of de-cluttering their homes, or even for those requiring a seperate area away from the home to safely and securely store items. If you have any more questions, why not visit our questions and answers section for help? Be it a house move, where you need space to store your home contents safely, or whether you're operating a business ... whatever your specific self storage needs are, it's well worth booking an appointment with us and take a look on our extensive site to see how you can benefit from us. Many of our exsisting customers are moving home and need furniture storage, so we understand the pressures of exchanging and completing contracts and the fact dates can change without notice if you're a house mover, so if you need to cancel or extend a booking, thats really no problem! Of course, flexibility is of key importance with us. You will not be locked into any form of tie-in period, and your storage can run from month to month until when you no longer need it. It's not just container storage we have on offer. We have a complete and practical range of workshop units, open secure yard storage space, car parks and long term parking, caravan and industrial storage: infact, if you have any unusual storage needs come and speak to us first as our flexible approach to any storage problem is usually solved with our years of proven experience. GO ON, CLICK TO CALL US! Storage Carlisle has various lock up garages around Carlisle for just £55 per month for a well maintained lock up garage. Storage Carlisle has gated and ungated compounds ideal for all types of domestic and business storage at highly competitive prices. We currently stock a wide range of different sizes, shapes and heights of shipping containers all designed to fit in with your personal needs as well as work units with or without lighting. 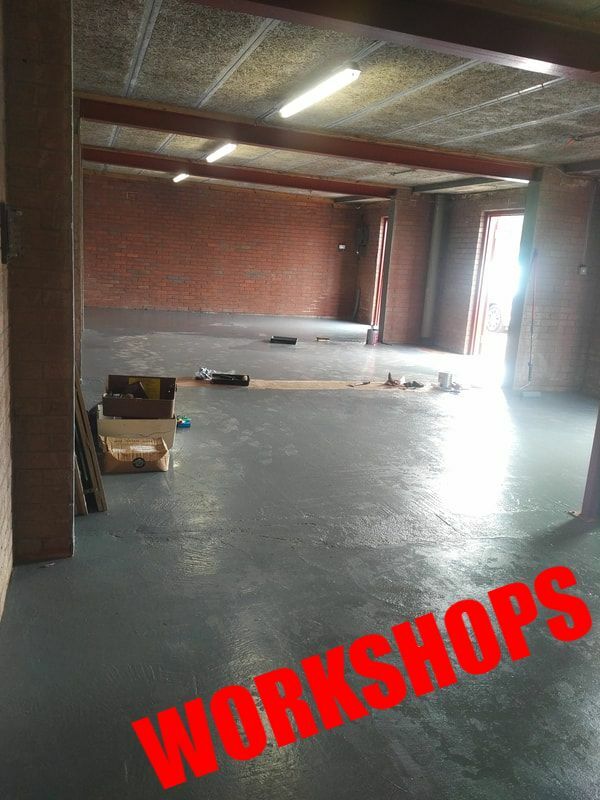 Various workshops sometimes available - this one is currently being lightly refurbished to allow light industrial or business use to cater for many uses including joinery, business or commercial use. If you're not sure what size you may need, we've a section to help you out by navigating here. DONT BE SHY - CLICK TO CALL US! Did you know ? We're on a host of social media, including Google plus, facebook, you tube and other. Click on the links. Many people are talking about us, and we're sure we have a social media platform that you no doubt will have seen and heard us on. Proud to be members of the Federation of Small Businesses too. Paying is easy : We take all major credit cards, and monthly standing orders can be set up for easy budgeting. Now for something a little different! At Container Storage Carlisle we're always fascinated by the shipping container Industry, being a cog in that wheel. We always keep a close eye out for news related matters on such issues, and it's come to our attention that many people in cities where house prices are unaffordable are living in them as homes or even using them as pop up retail shops and offices. Infact, in London for example, there is an entire shopping area devoted to converted containers. Now of course, London is an expensive area, but nevertheless, it just goes to show what can be done with a little immigination, so you never know what we may see in Carlisle! Other uses for shipping container units are office accommodation. You're more likely to see these in bigger cities though. With increasing property prices, some area's of the country are becoming quite expensive, and we're fascinated by the use of shipping containers as affordable housing. We came across a recent article on the subject; take a look at it here, courtesy of the BBC, which expands on this latest situation. Credit : Copyright BBC. Thanks for getting this far .... if you wish to connect with us, our contact form can provide you with a no obligation way of reaching out to us. Be honest, we all need extra storage space at times. This could be space you're already using such as a lock up garage, perhaps even the spare room in the house, or attic space. But usually, all those areas can be piled up with all sorts! Old Clothes, Sentimental family items, even things that aret just to good to give or dispose of. There really is no need to squeeze all and sundry in that old cupboard or grotty garage when we provide family friendly and convienient storage where you are able to securely store your goods with 100% peace of mind into the bargain. Check out more about us on this link here. Our facilities are covered by modern CCTV, are floodlit, and have barrier access which adds to the experience, and by giving you a 24hr hour access, you can come and go just as often as you want. Thanks for reading.